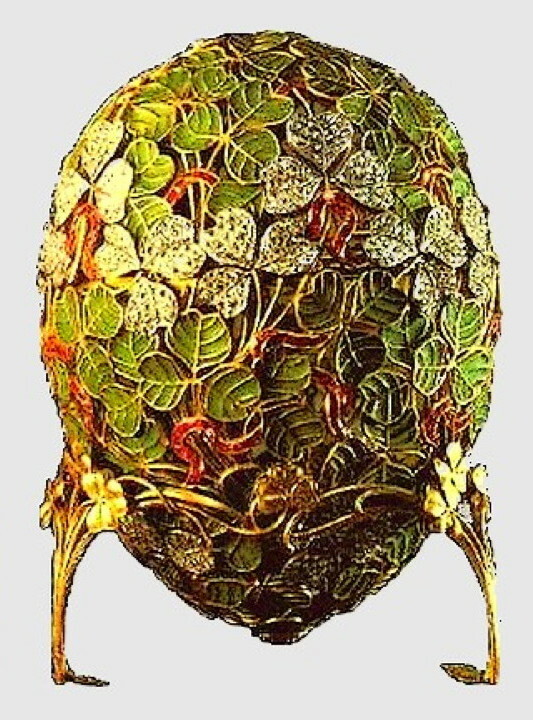 And, Imperial Easter Egg number twenty five goes by the name the "Clover Leaf Egg", and was made in 1902! This delicate egg is made up of an openwork of stems and clover leaves. 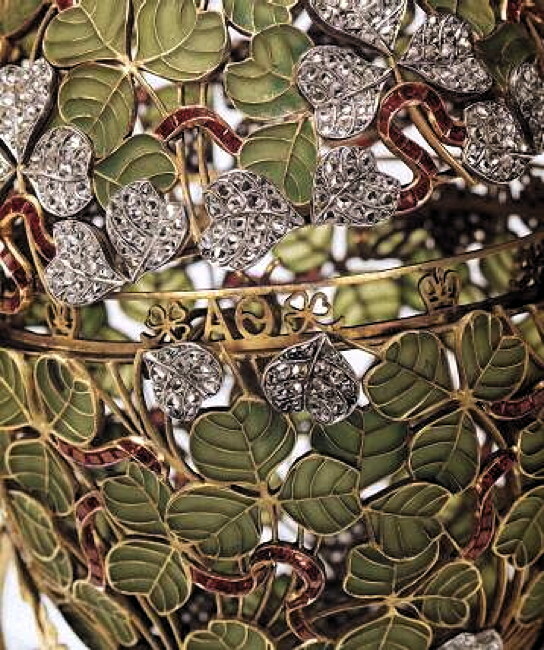 It looks like the pattern is woven by golden threads, and the gaps between the leaves are covered with transparent bright green enamel. Through the foliage curls a thin golden ribbon, paved with rubies. Transparent enamel was just beginning to be used, and very difficult to create. The enamel in this egg is perfect though! By being created with no bubbles or cracks at all, it is considered one of the finest examples of the jeweler's art anywhere in the world! The surprise of this egg has been lost, but according to archives it contained four leaves with 23 diamonds and four portrait miniatures of the Tsar's daughters - symbols of the happy marriage between Nicholas II and Alexandra Feodorovna. 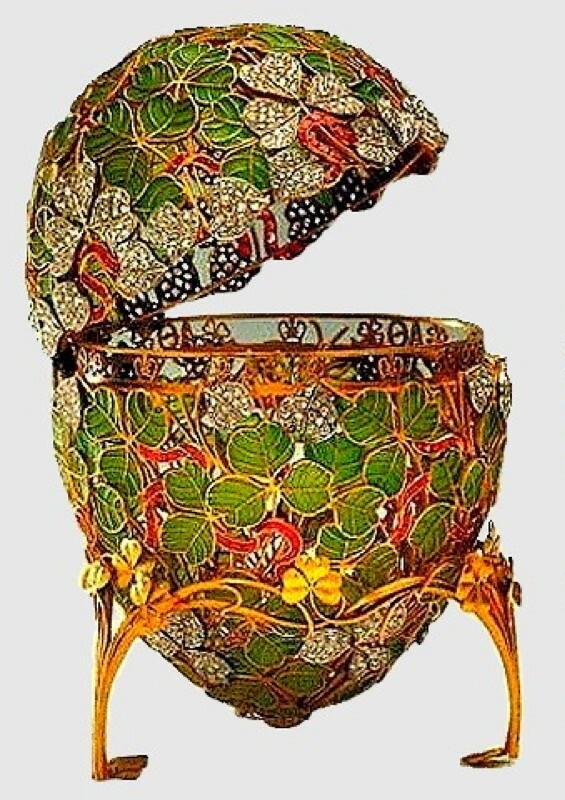 Since the Clover Leaf Egg is considered too fragile to travel, it is one of the few Fabergé Eggs never to have left Russia. It is currently held in the Kremlin Armory Museum in Moscow. I'm really fond of this one. Such a beautiful egg, it's a shame it's so fragile and has never left Russia.